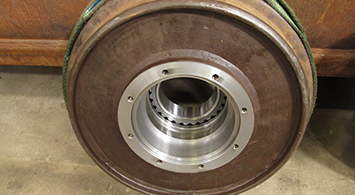 We carry out various jobs for the heavy industry – repairs as well as manufacture of new parts. A tour through our workshops reveals that we not only repair propeller shafts and rudder stocks. 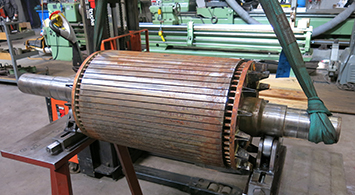 Some of the other parts found are generator shafts, pole wheels and shafts for scrap crushers just to mention some of them. Heat treatment is carried out world-wide and with our mobile equipment we carry out annealing for CHP plants and the wind power industry. Our workshops for stainless steel, chemical cleaning of vacuum toilet pipes and RSW cooling/freezing plants also carry out jobs for the industry. We are ISO certified for all tasks within land based cooling/freezing plants.